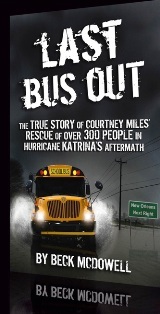 From the publisher: The true story of Courtney Miles' rescue of over 300 people in the aftermath of Hurricane Katrina. While government officials posed for cameras, a boy from the projects with no driver's license stepped up and showed what "drive" is all about. Last Bus Out tells how Courtney Miles stole a bus, charged past a police roadblock, and argued with a National Guardsman who threatened to lock him in the makeshift jail at the Greyhound Bus Station. Sick with worry about his missing grandmother, he drove his passengers to safety, and then went back into the city at midnight to help others. His adventure would ultimately lead to starting his life over on the opposite end of the country, far away from the three women he loves—the mother who abused him, the grandmother who taught him to survive, and the girlfriend who would betray him. Last Bus Out chronicles Courtney's life alone while his mother was repeatedly jailed for selling drugs. At seven he woke up on Christmas Eve with a gun in his face. 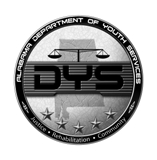 At thirteen he witnessed the murder of a man three feet in front of him. As a high school junior he lived alone in an empty house without electricity or water. Courted by gangs who knew he was hungry, "Streets," as he was nicknamed for his solitary life on the streets, lived apart and kept his record clean—until the day he risked his freedom to save his neighbors.